Boozy Donuts Are A Dream Come True at Denver’s Habit Doughnut Dispensary – Why Am I Not There? Alcohol-infused doughnuts are not a new creation. 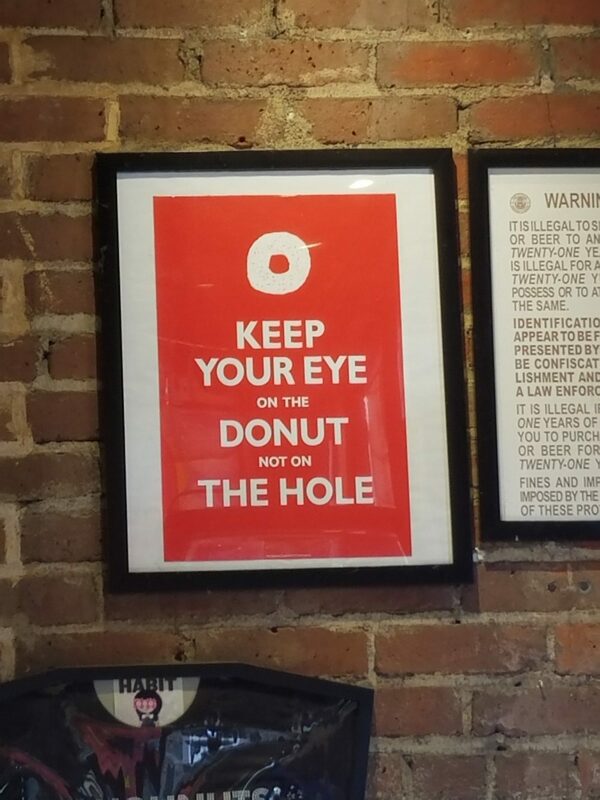 Miami’s Salty Donuts has them. I’ve had a few at Blue Star in Portland, OR. 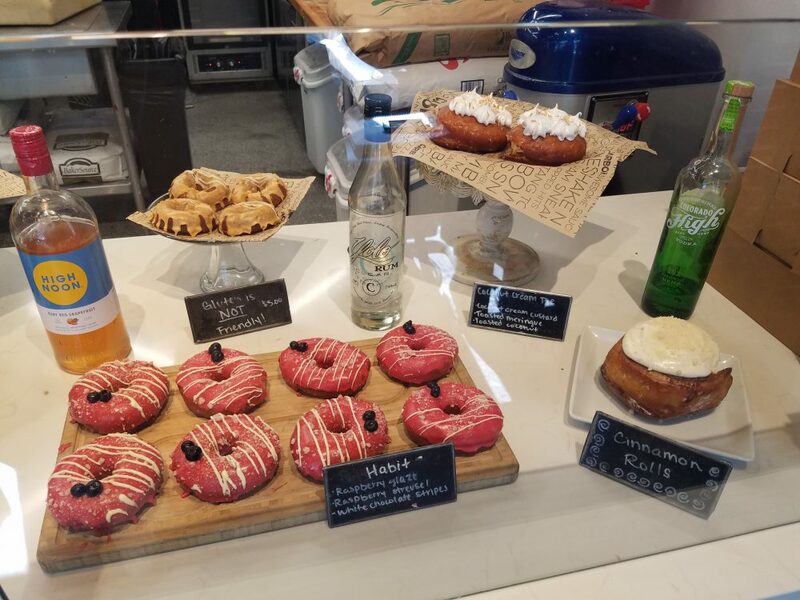 If google you “alcohol-infused doughnuts,” the result that comes up first is Habit Doughnut Dispensary in Denver. Riffing of the marijuana dispensary-theme because its legal in Colorado, this bakery dispenses sugary goodness. It’s perfect after you get the munchies from a pot dispensary. The booze is optional and comes in two forms, in a little plastic injector that you can infuse into the doughnut yourself like a spike in a vein or as a shot on the side to use as a chaser. When you break it down, there’s no classy way to do it. Both make you look like an alcoholic. You have your choice of whiskey, Bailey’s, vodka, rum, gin and whatever they have at hand. I went with the rum with beignet-style donut (The Plain Jane) and a Yuzu-glaze with some crunchy stuff on it. 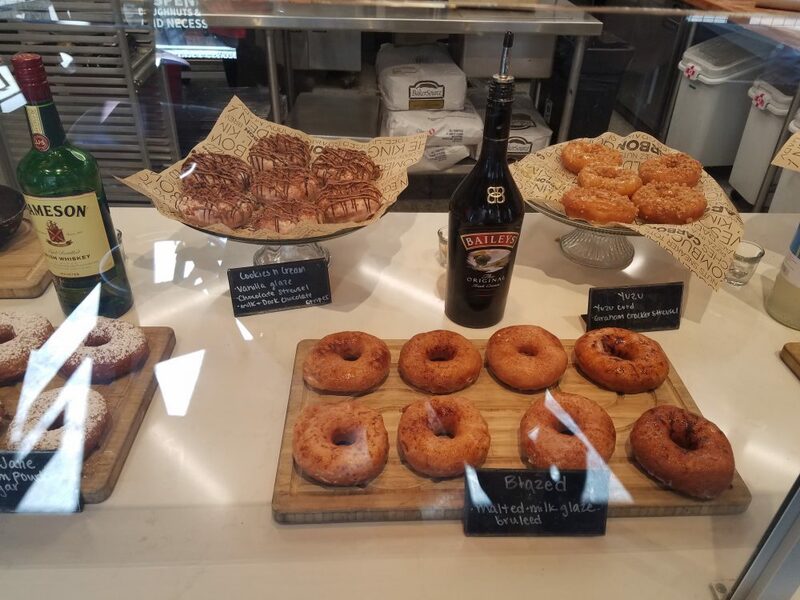 If eating doughnuts in a health and fitness conscious city like Denver is bad, then add booze on top of pushes it over the edge. I have no regrets.